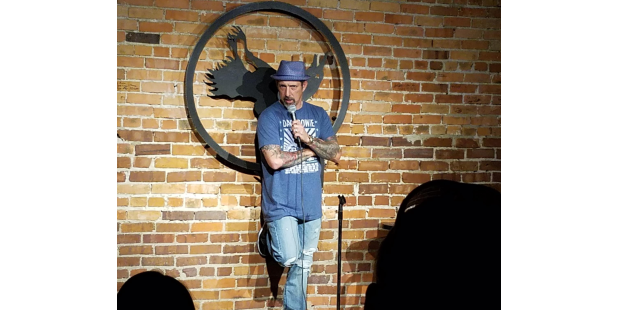 Wilmington's only full-time comedy club, The Dead Crow Comedy Room, offers laughter all year long. This unique, intimate atmosphere for watching national and locally acclaimed live comedy in the heart of Historic Downtown has a full bar as well as dinner and appetizers available prior and during shows. Signature Events: Annual Cape Fear Comedy Festival, Comedy Bingo, Open Mic and Special Comedy Taco Nights. Please check their Website and Social Media for the latest updates on Comedians and Menu Offerings. Admission: Varies by performance, please check website for details. If you have a party of three or more, and wish to sit together, you must make a reservation before the date of your ticketed show. Reservations will not be accepted after 5pm the day of your ticketed show. Please arrive 15 minutes prior to show time to guarantee that you can all sit together. Additional Information: Please check Website and Social Media for the latest updates. Menu, Prices and hours subject to change. Some shows contain Mature Material.